JACK DYLAN GRAZER as Freddy Freeman and ZACHARY LEVI as Shazam in New Line Cinema’s action adventure “SHAZAM!,” a Warner Bros. Pictures release. Shazam is a seriously silly, fun-filled movie that is sure to be a big win for DC/Warner Bros.
We all have a superhero inside of us — it just takes a bit of magic to bring it out. In 14-year-old Billy Batson’s (Asher Angel) case, all he needs to do is shout out one word to transform into the adult superhero Shazam (Zachary Levi). 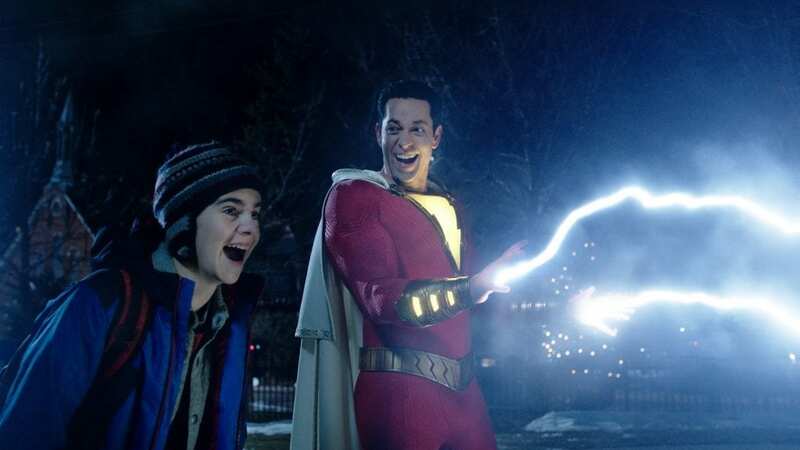 Still a kid at heart, Shazam revels in the new version of himself by doing what any other teen would do — have fun while testing out his newfound powers. But he’ll need to master them quickly before the evil Dr. Thaddeus Sivana (Mark Strong) can get his hands on Shazam’s magical abilities. 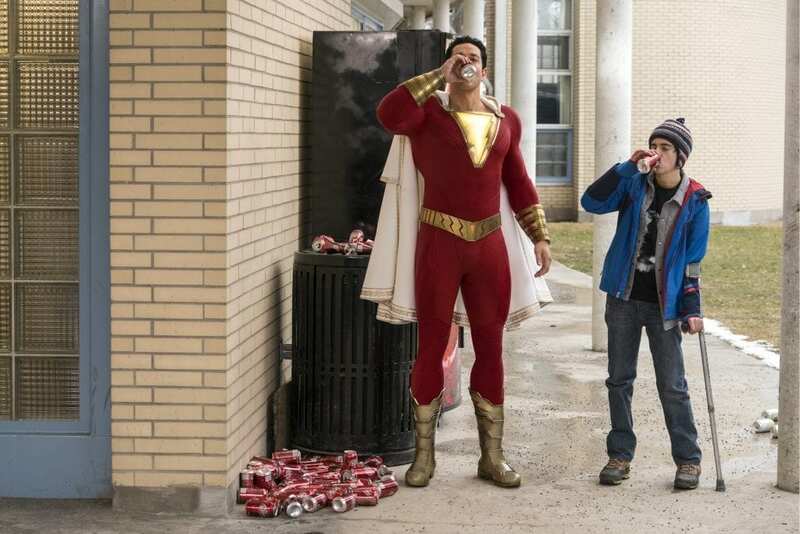 Shazam tells its superhero’s origin story in a very compelling way, asking the question of what a kid would do if they suddenly had superpowers – especially to a kid who looks out for only himself. The heart of the movie is no doubt the friendship between Billy and Freddy (Jack Dylan Grazer), grounding it in a way that is believable and relatable. Luckily, the film never tires of making fun at its own premise, mainly delivered by Grazer, Levi and Angel. 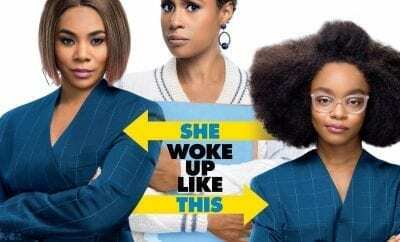 There is one scene particular that stands out and showcases how much the film has with its premise and that scene takes place in a convenience store. ZACHARY LEVI as Shazam and JACK DYLAN GRAZER as Freddy Freeman in New Line Cinema’s action adventure “SHAZAM!,” a Warner Bros. Pictures release. Shazam does struggle a bit with some if its more dramatic moments, mainly with Billy’s backstory of how he got into the foster system and the search for his mom. 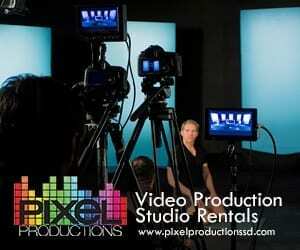 But its all necessary for the character’s overall journey, making Billy an interesting and compelling character and Asher Angel knocks it out of the park. As far as villains go, Mark Strong plays a great villain, but the character of Dr. Thaddeus Sivana is pretty one dimensional. He does get his own backstory which helps reveal his motives but never really becomes a great villain. 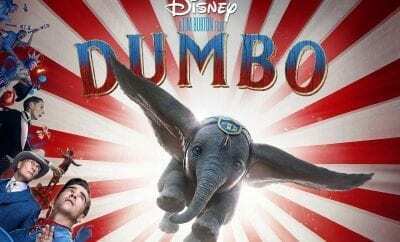 The character works best when paired with Billy/Shazam’s more humorous and grounded tone making for some of the film’s best and strongest moments. 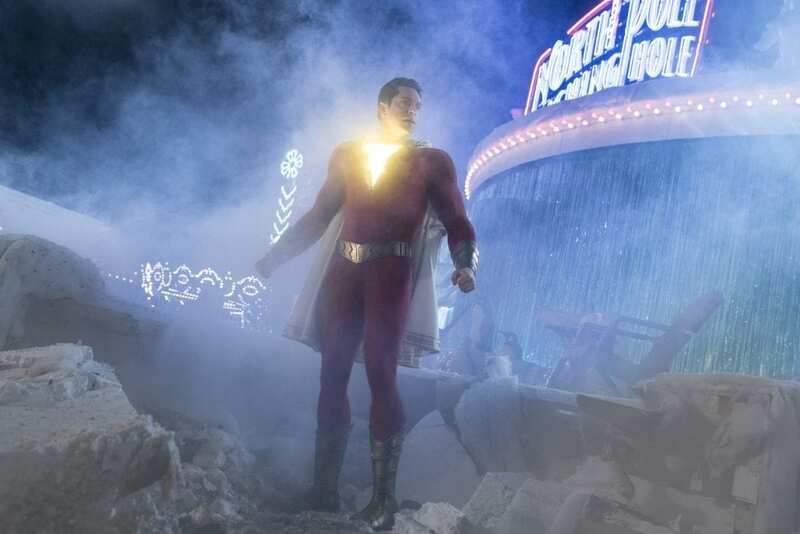 ZACHARY LEVI as Shazam in New Line Cinema’s action adventure “SHAZAM!,” a Warner Bros. Pictures release. 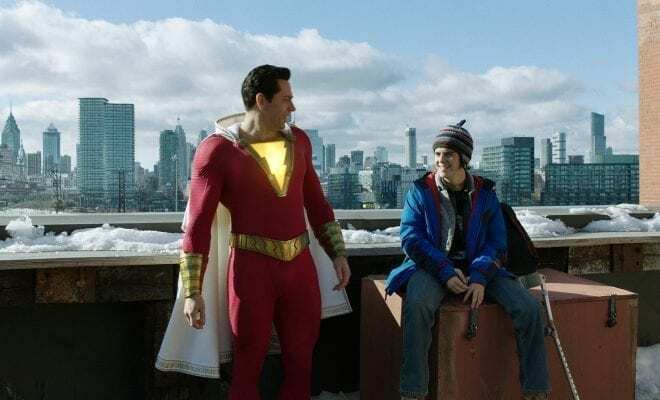 Overall, Shazam has a more humorous origin story, so it helps that the film has a much lighter tone than other DC films. It has its dark and dramatic moments, but it’s perfectly balanced with its more humorous side. Zachary Levi was born for this role and his fantastic performance proves it.